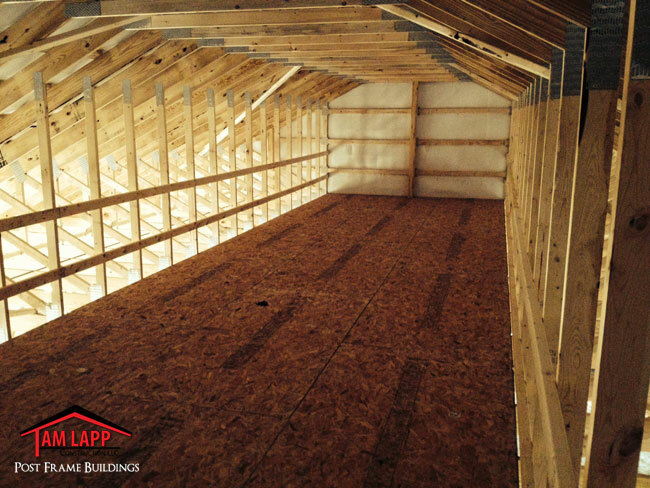 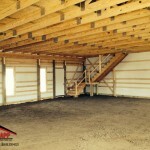 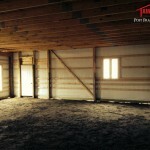 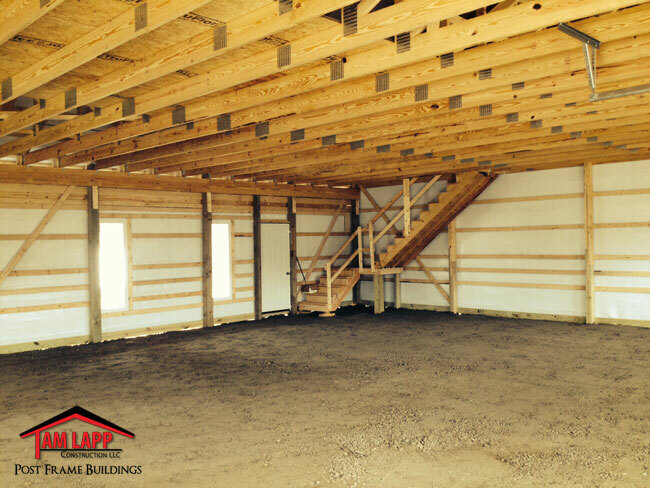 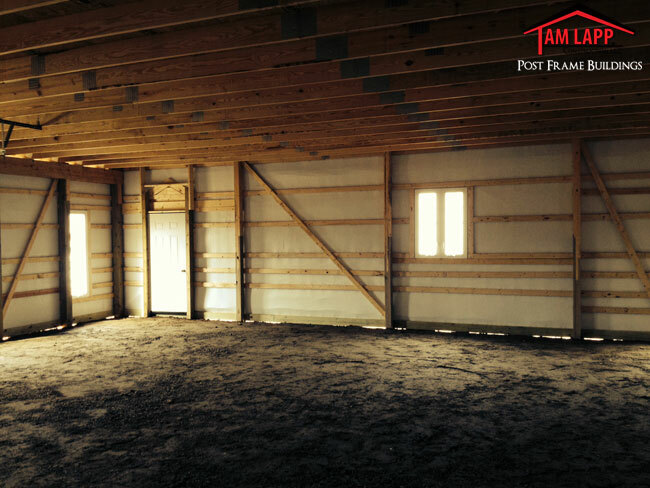 6 Pitch Attic Trusses – Plywood Floor – 3′ Wide L-Shape Stairway. 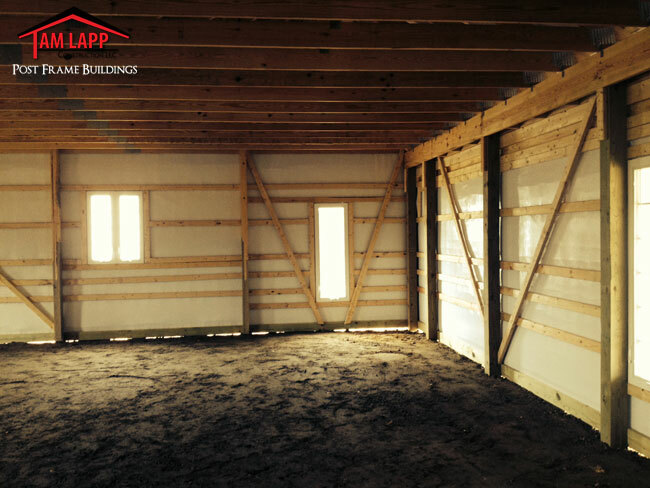 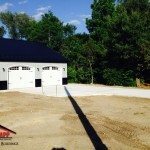 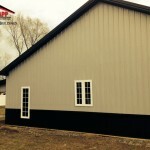 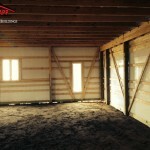 OPEN LEAN-TO SIZE: Width: 8′ x Length: 44′ x Height: 7′ Min. 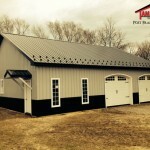 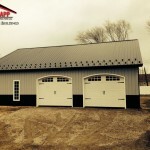 – Dropped 8″ under soffit – 2/12 Roof Pitch – 4′ x 6′ PT Posts wrapped w/ white trim – 18″ Dutch Corners at Posts and Gable ends – 12″ roof overhang on eave & gables. 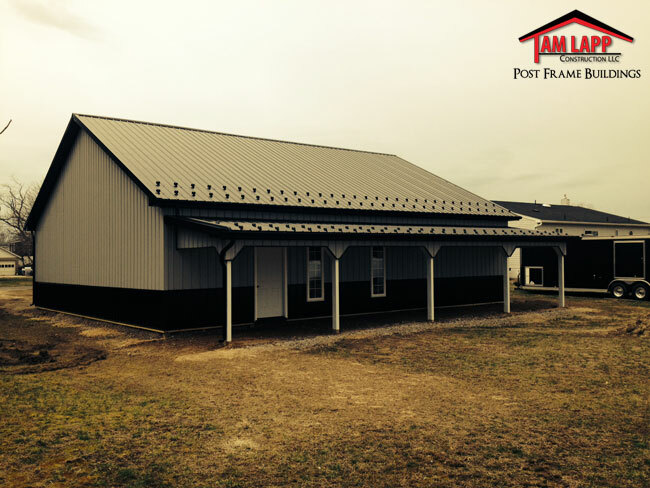 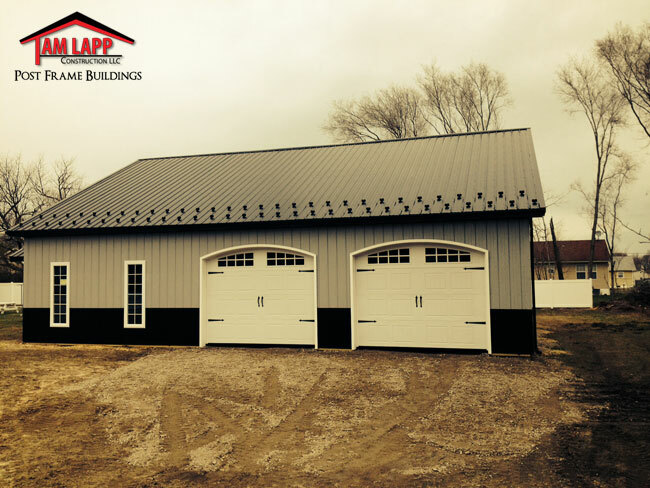 Roof Overhangs: Overhang boxed-in w/ BLACK soffit w/ painted fascia trim: 12″ Sidewalls, 12″ Gable Ends w/ Ridge Vent. 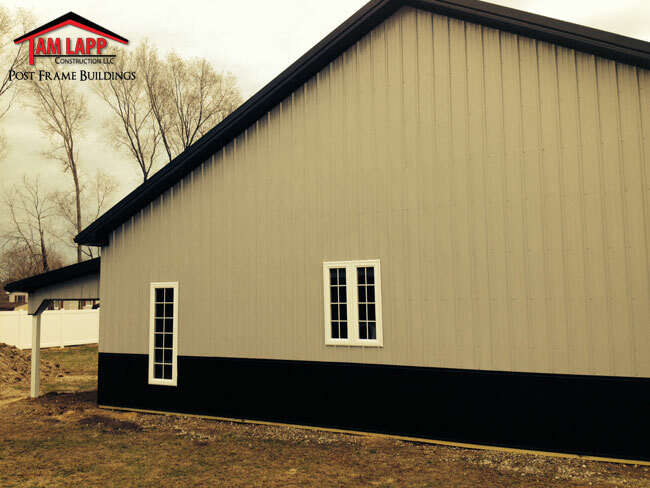 Windows: (5) 24″ x 69″ MI Insulated Casement Windows w/crank out latches, (1) 3’W x 4’H Twin Casement w/ Double crank out, All w/ Grids & Screen. 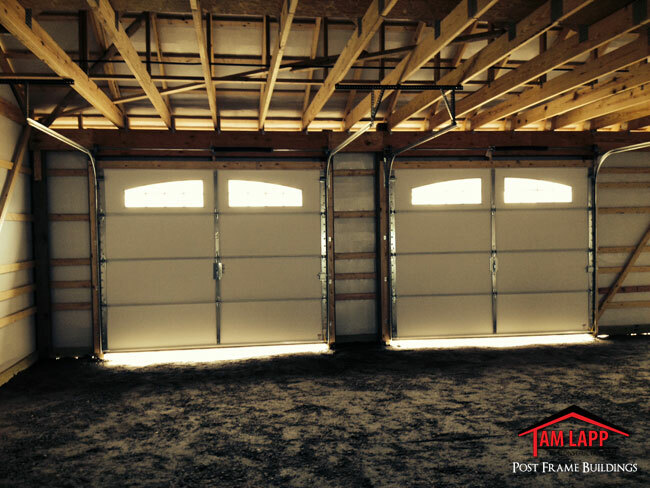 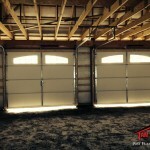 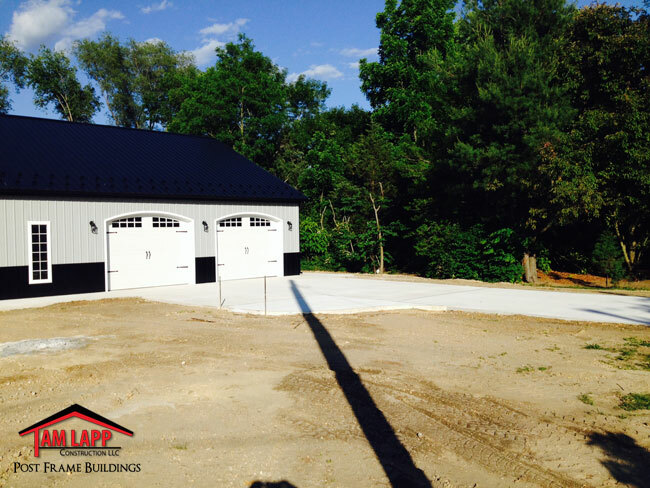 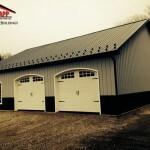 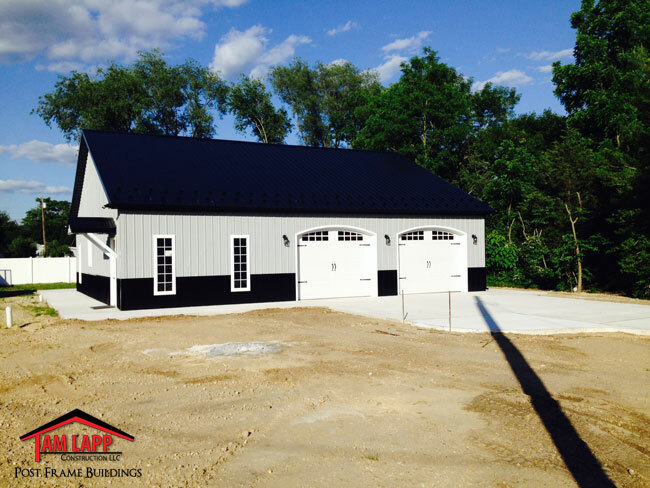 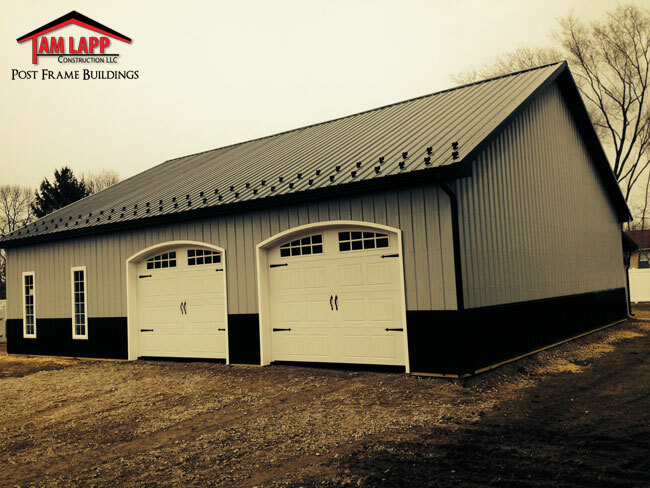 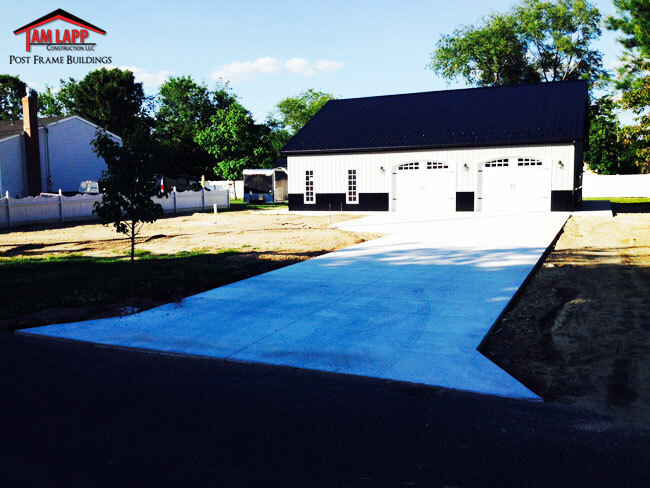 Clopay Carriage Style Garage Doors: (2) 10’W x 8’H White, Arch 1 Grilles, Insulated w/ Inside Locks, Arch Top Framed Openings. 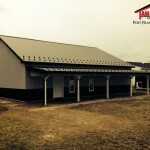 Gutters: 5K Seamless Gutters w/ 2 Downspouts. 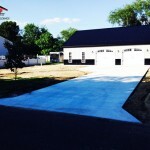 Thanks again for a first class job in every aspect of my building. 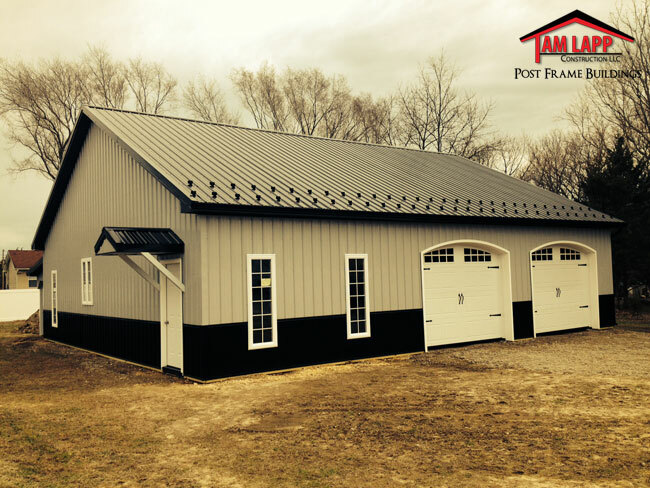 I couldn't be happier with the quality, workmanship, and communication with Tam and the entire crew. 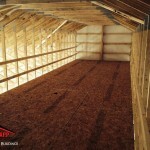 I'm 100% a satisfied customer and would recommend this company to anyone.